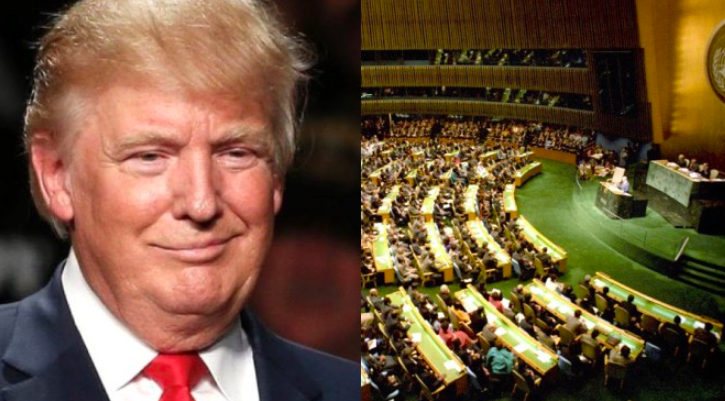 Breaking: Tump Just Cut Another 350M in Funding to the United Nations! President Trump just instantly cut $350 million from the United Nations, specifically their Palestinian Refugee Agency. Trump was only able to do this because YOU helped us pressure Congress into adding an amendment into last year's spending bill that gave the administration the power to cut off all the aid. Republicans and Democrats are furious and vowing to restore every cent of international aid and UN funding that Trump has cut. Please, you CANNOT allow this to happen! Send your instant message to Congress -- right below -- and ORDER them to block any and all attempts to restore the UN funding that Trump cut off! President Trump just cut off $350 million in funding to the United Nations. All across the world, the Trump administration is cutting off funds to countries and international organizations that seek to undermine our sovereignty and our interests. This is what America First means. Right now, Congress is debating a number of spending bills that will determine how my tax dollars are spent in the next fiscal year. One of those packages includes the international aid budget. Already, some of your colleagues are trying to pull the rug out from under the President and force him to restore the United Nations funding he has already cut. Not just this latest $350 million, mind you. They are trying to restore all of it. The Billions that Obama promised for the UN's climate treaty, the money Trump cut off from the Iran nuclear deal, the aid to the Palestinian government. You cannot allow this to happen. I will not allow it. When Congress begins debating the State Department's budget for next year, the question of UN funding will come up. Many of your colleagues will ask how much money should be given away to the UN and its globalist agenda. The answer is simple: Zero. For far too long, American taxpayers have been on the hook for funding UN programs that are deliberately designed to be against the United States' interests. President Trump promised to cut this spending and he is fulfilling that promise. It is YOUR job to help him finish that. I am demanding that you block any and all attempts to restore this funding. With Congress crunched for time, Liberal and Moderate Congressmen and Senators will try to abuse the unanimous consent provisions to slip their amendments into the bill. If they will, billions of dollars will be restored to the United Nations. That simply cannot happen. I don't care what it takes, you must stop them. If you want my support, you will back the President's America First agenda and protect all of his UN funding cuts!